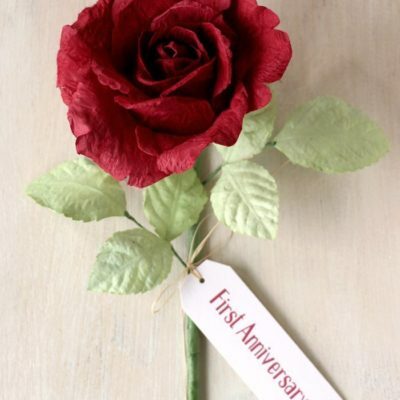 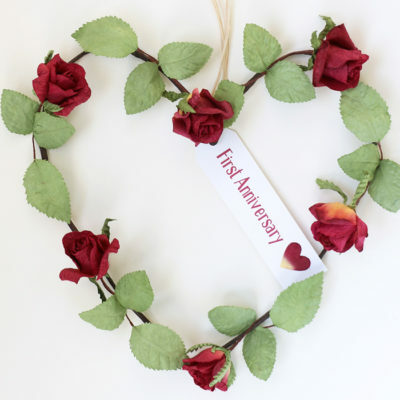 A unique 1st year anniversary gift for her, Valentine or romantic paper gift. 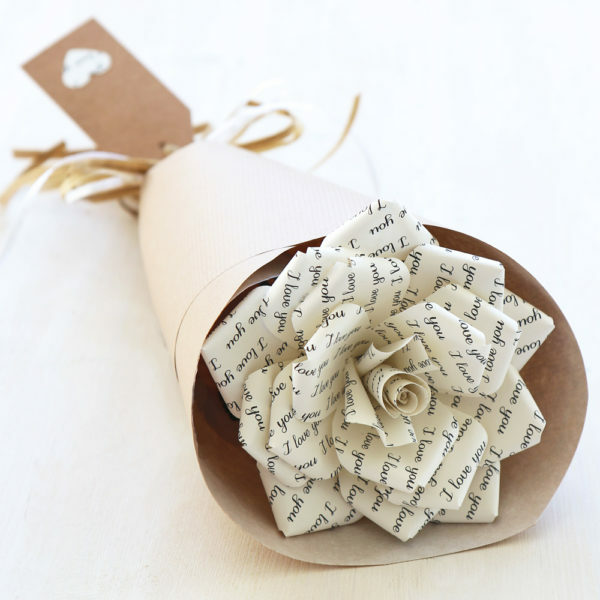 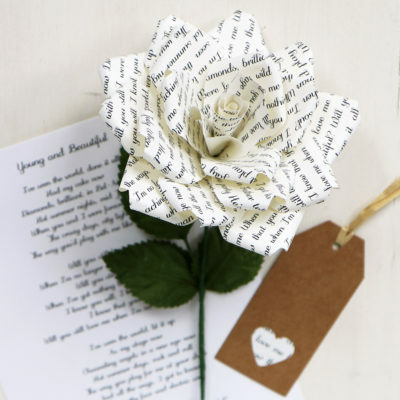 Beautiful paper rose printed with the words ‘I Love You’. 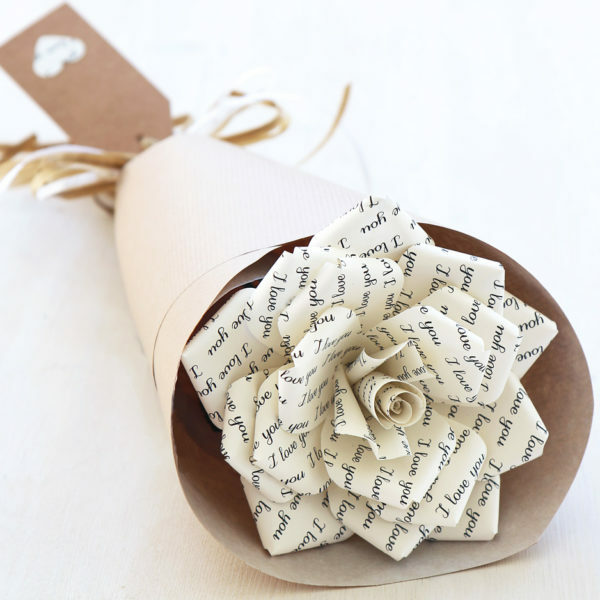 Presented wrapped in paper with a raffia tie & a tag with heart decoration. 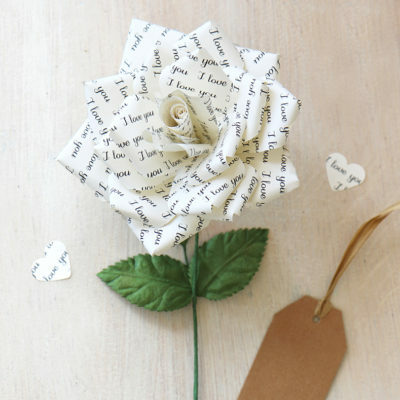 Handmade in England. 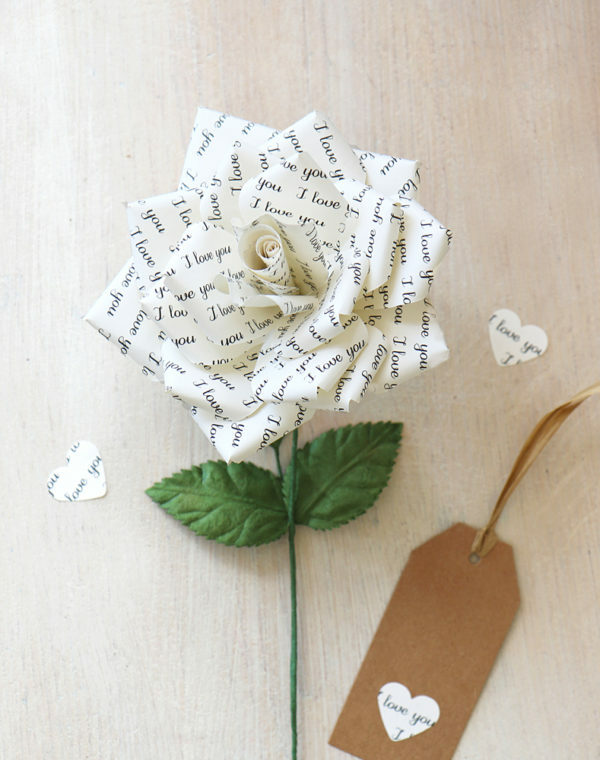 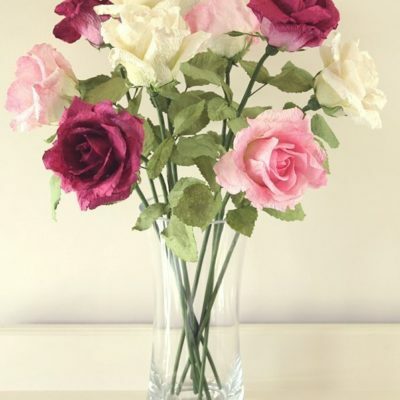 If you would like this rose printed with your own choice of words please see our personalised paper rose.